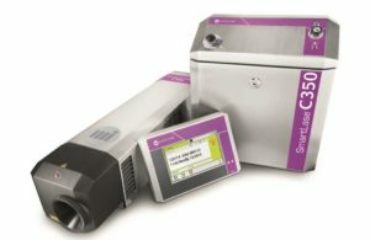 Recent research reported by digitaljournal.com reveals that the global market for barcoding machines is growing. The value of this market is forecast to increase beyond USD 3.8 billion by 2024, reflecting the rapidly rising demand for product identification solutions worldwide. Barcodes and other coding solutions are unique identifiers that enable everyone in the supply chain to recognise, classify, track, trace and manage products – and the elements used to produce these – as they move from production floor to end user. Originally intended for use on retail products to drive efficiency at the check-out, barcodes are now used on primary, secondary and tertiary packaging. Primary barcodes are typically printed on the product packaging itself – the layer presented to the consumer in the retail environment. Secondary barcodes are used on cartons that contain products to be shipped or distributed. And tertiary barcodes are applied to the pallets that contain cartons of mixed products. Here, the barcode provides information that’s needed during the transport and warehousing process. As consumption becomes more globalised and coding technology grows more sophisticated, it’s important to be sure you’re accessing the most innovative, efficient and effective product identification solutions available. 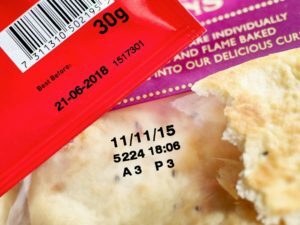 Because coding and marking allows everyone involved in the production, processing, distribution and retail stages to quickly access the traceability information they need for any product they’re dealing with, the printed result needs to be easily legible and totally resilient. Simultaneously, every production and packaging floor strives for optimum efficiency and minimal downtime in their coding processes – and therefore values coding equipment that saves time, cuts operational costs and comes underpinned by excellent service. If you are looking for marking and coding systems that can meet all these needs, contact Pyrotec PackMark. We offer a wide range of equipment and consumables from international industry leaders Markem-Imaje, ALTech and Harland Machine Systems, among other brands. We also provide comprehensive after sales support, offering rapid response to breakdowns, on-site service and a dedicated 24/365 technical support line: 0800 202 574. The rise of voice-activated computing – is it applicable to packaging lines?